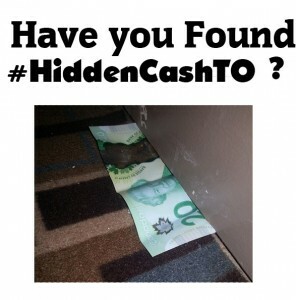 If you read our previous blog What is #HiddenCash? about the #HiddenCash phenomenon that is taking the Internet by storm, you would have since learned that it was started by a California millionaire from San Francisco who wishes to remain anonymous. The original creator of #hiddencash says that is going give away up to $100,000 over the course of the next few weeks or even months in hopes that people will take some of what they find and pay it forward. As this philanthropic story made its way around social media, mainstream media also picked up on it and the concept has inspired copycats to initiate the same type of campaign in other cities around North America, the United Kingdom and the Netherlands. The interesting thing about this campaign is that the Twitter handle owners like @HiddenCash are not the only ones making the tweets with #HiddenCash, and making the money drops and tweeting clues about where the money can be found. Other donors are also able to hide envelopes with cash and tweet the hashtag #HiddenCash to give followers of the hashtag with clues to the location to the cash. Whether the hidden cash is to be found in a bottle of blowing bubbles or a hollow angry bird figurine, people finding the cash are encouraged to take a photo of the container it was hidden in and a selfie of themselves holding the cash, then post the images on Twitter. Some of the lucky finders have even taken it upon themselves to re-hide some of their findings and pay it forward by sending out clues of their own. As one of our office space for rent tenants mentioned to us Monday, not all the #HiddenCash copycat philanthropists have been able to stay anonymous. It seems that one of the hiders of cash on the Hidden Cash Toronto #hiddencashTO is a local jewelry own who is known for his cash for gold and zany television commercials. Yes, Russel Oliver has been hiding money as #hiddencashOJ. While this type of campaign is great publicity for the man who tweets as @OfficialCashman, it could also be good for your small business to get publicity for giving back – as well as to gain twitter followers. Hearing about this campaign from the same office rental tenant that told us last year about Pour it Forward (where people were buying coffee for the person behind them at a coffee shop), shows us that he is really following trends on social media and more importantly social “feel-good” campaigns. It inspires us to consider hiding cash around our office space and sending #hiddencashTelsec clues to our office tenants for them to find the cash. But then again that might cause a great deal of commotion in the peaceful atmosphere of our halls! So instead, will continue offering them free coffee, tea and cold filtered water.